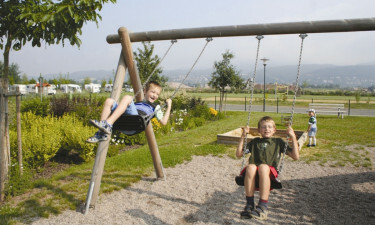 Camping Eschwege is a short walk from the picturesque centre of Eschwege in northeast Hesse. You will enjoy a comfortable and relaxing stay at this luxury camping park thanks to modern facilities. With its position next to the beautiful Werratalsee, you are also close to fantastic recreational opportunities. Located between the Weeatalsee and Werra River, every pitch at this luxury camping site enjoys stunning views. The historic town of Eschwege is within a five-minute walk of your tent or mobile home, while the campground itself benefits from fabulous amenities and services. Book your stay at Camping Eschwege today with LuxCamp! A stunning destination for outdoor enthusiasts, Camping Eschwege is at the doorstep of diverse leisure opportunities. Mini-golf is within 700 metres and tennis is only 600 metres away. A marina on the Werratalsee is only 150 metres from the campground, which is also close to beautiful hiking and cycling trails. This comfortable holiday camping destination has all the amenities and comforts you would expect from a hotel or resort. There is a bistro serving delicious meals and a mini-market stocked with essentials for your camping holiday. Wi-Fi access is also available, as are laundry facilities with modern washers and dryers. 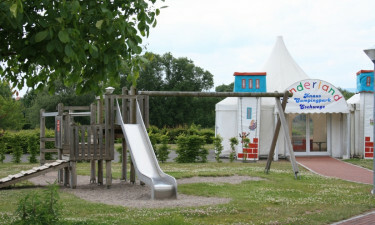 You can enjoy fun activities at this luxury camping site in the heart of Germany. The campground has a beach volleyball court, a multi-sports pitch, table tennis, and a children’s playground. 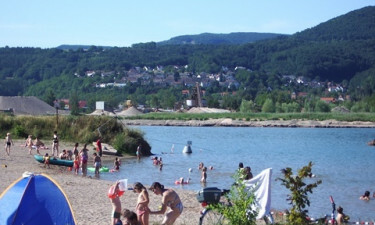 You will also find a pretty beach just opposite the campground on the shore of the Werratalsee. 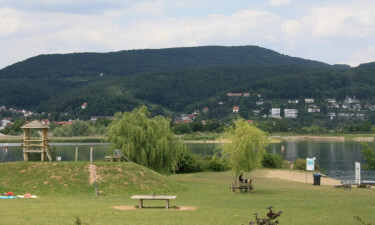 The scenic lake is also popular for watersports, including fishing, canoeing and sailing.